﻿﻿ •Directly printing on flat substrates avoids blistering, degumming, shrink and bleeding problems in the out of date paste technology. 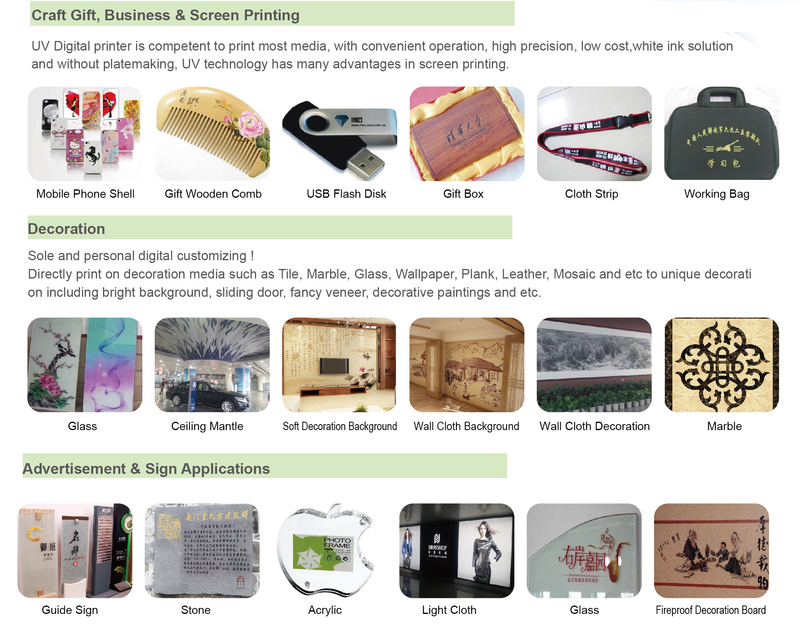 Media: KT board, PVC board, Acrylic Board, Plank and etc. Media: Leather, Cotton/Linen, Wallpaper, Fireproof Plate, Aluminum-plastic Panel, Mable, Glass, Tile and etc. • Stable white ink solution enables bright printing on dark & transparent media. Media: Black Aluminum-plastic Panel, Transparent Acrylic, Glass, PET, PVC and etc. •Fast ink curing technology ensures quality performance of high saturability. Media: Inner Lamp Cloth, PVC, Mantle and etc. •Professional solutions makes bright color expression. •White Ink Recycle patent enables stable printing white color. •﻿﻿﻿﻿﻿﻿ Cold light LED curing with tiny temperature variation ensures high printing quality. 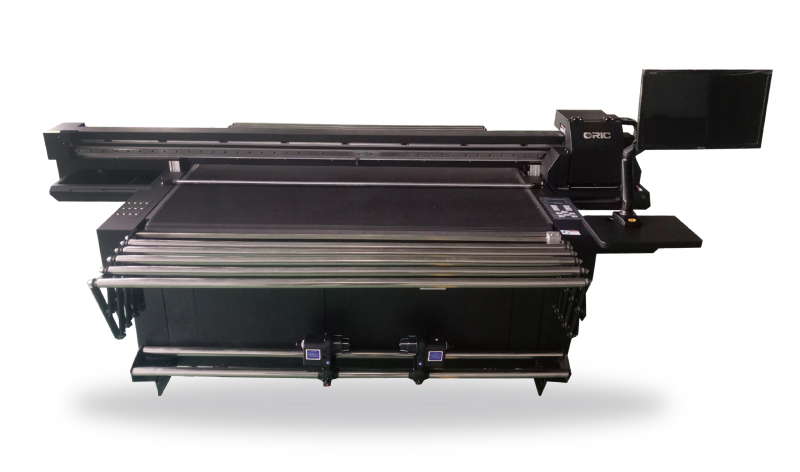 •Adjustable head height, laser positioning system and movable printing platform result in high-efficiency printing jobs regardless of standard or nonstandard, batch or single unit. •Folding support frame saves space and cost as well. 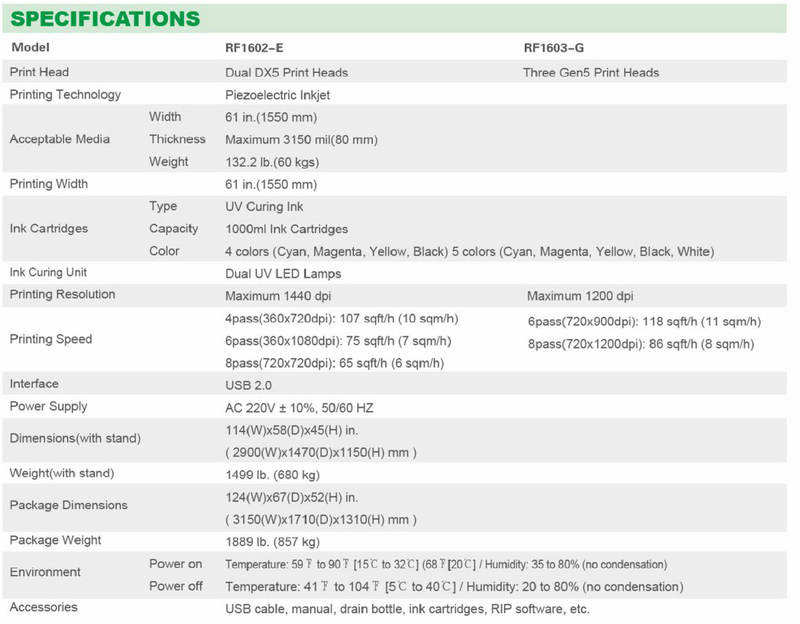 •﻿﻿﻿﻿﻿ ﻿Stable printing technology and ink supply system saves maintenance cost also.